Andy Page is president and chief executive officer of ORAU. He provides comprehensive oversight, strategic direction and leadership for ORAU and its diverse set of missions involving science, technology, engineering and math (STEM) workforce development, scientific assessment, worker health, environmental management and radiological emergency response. Page works closely with government agencies and ORAU’s 121–member university consortium to secure new programs and partnerships to further enhance ORAU’s national and international reputation. Page oversees ORAU’s flagship contract, the Oak Ridge Institute for Science and Education, which ORAU manages for the U.S. Department of Energy (DOE) and where Page served as the ORISE Director from 2009 to 2016. ORAU also supports various DOE national laboratories with STEM internship and fellowship programs to help build the pipeline of future scientists and engineers. Before becoming president, Page was vice president and director of ORAU’s National Security and Emergency Management Program, supporting DOE’s National Nuclear Security Administration’s Office of Emergency Response. In this capacity he also managed several major counterterrorism programs for other government agencies that supported DOE’s national security mission. Prior to joining ORAU in 1999, Page served nearly 25 years with the U.S. Marine Corps. He was a commanding officer in both Fleet Marine and Marine Corps Security Forces, served as deputy branch head of amphibious ships and programs for the Chief of Naval Operations at the Pentagon, and served in other high-level staff assignments at Headquarters Marine Corps in Washington, D.C. Page serves on the board of directors for the East Tennessee Economic Council and the Oak Ridge Public Education Foundation. He is a member of the UT-Battelle Board of Governors, institutional liaison for the Tennessee Valley Corridor Board of Directors and a member of the Covenant Health Leadership Academy Class of 2017. He received a master’s degree in management from Webster University, a master’s degree in education from Old Dominion University and a master’s degree in national resource strategy from the National Defense University. He received his bachelor’s degree in history from The Citadel. ORAU is led by a team of highly skilled, technical and business experts who are committed to carrying out the organization’s mission to integrate academic, government, and scientific resources. 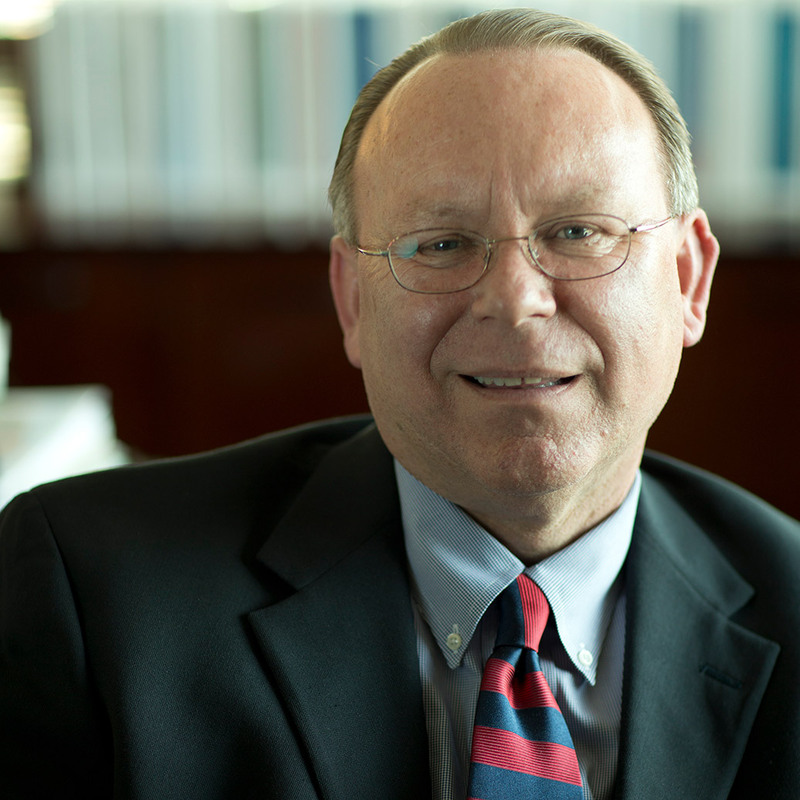 Dr. Eric W. Abelquist serves as executive vice president and chief research officer. In this role, he works closely with the president and chief executive officer of ORAU to promote collaboration between the company and its university partners, federal agencies, national laboratories and others. Dr. Abelquist leads entrepreneurial and innovative initiatives that develop business growth for the organization. He formulates organizational strategic objectives, overseeing key strategic initiatives, community initiatives and best business practices. Abelquist also advises on scientific and engineering issues that advance scientific research and education opportunities. Dr. Abelquist recently completed his term as president of the Health Physics Society, a national organization whose mission is to support its members in the practice of their profession and to promote excellence in the science and practice of radiation safety. He has lectured nationally and internationally, including a recently invited lecture at the China Society of Radiation Protection in Shanghai, China. 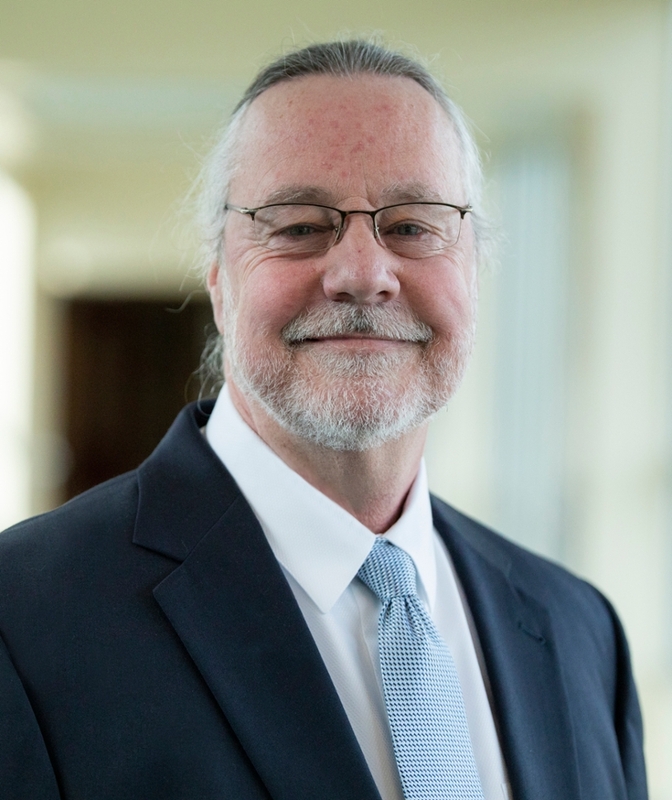 Dr. Abelquist joined ORAU more than 25 years ago as a project leader responsible for overseeing a team of health physics technicians and conducting characterization and independent verification surveys at the U.S. Department of Energy and Nuclear Regulatory Commission sites. He later worked for many years as the survey program’s associate director where, most notably, he contributed to the development and implementation of the Multiagency Radiation Survey and Site Investigation Manual (MARSSIM), and developed the first MARSSIM training course that has now been offered nearly 100 times. Dr. Abelquist received a doctorate in nuclear engineering and a master’s degree in business administration from the University of Tennessee. He earned a master’s degree and bachelor’s degree in radiation sciences from the University of Massachusetts Lowell. Amidon serves as director of Safeguards and Security, and he is the facility security officer. In these roles, he oversees the day-to-day safeguards and security functional areas, including information security, personnel security, physical security and 24-hour watch force and protective force activities. Prior to joining ORAU, Amidon worked as a contract special investigator, a role involving conducting interviews, record searches and background checks for national security investigations for government agencies. Amidon has more than 20 years of active duty service in the U.S Army Special Forces and Military Intelligence. He previously served as the training officer and recruiting operations officer for Army ROTC at Carson-Newman University, where he built the ROTC Nursing Program into the largest in the nation. While working in military intelligence, he served as a targeting officer for Special Operations Command Korea. He developed the system for threat analysis used in planning force protection and producing threat briefings that was adopted by the Multi-National Forces and Observers Headquarters in Sinai, Egypt. As a special forces soldier, Amidon served as a weapons sergeant, demolitions sergeant, and intelligence sergeant. He completed a 52-week Defense Language Institute course in Mandarin Chinese. Amidon received his bachelor’s degree in international relations from Campbell University. Phil Andrews joined the organization in August 2007. In his role, he oversees all ORAU financial, facility, communications, and business support services. He provides executive-level leadership for the operations of four departments including the development and implementation of policies and procedures in the areas of financial management, procurement and contracts management, communications, public relations and marketing, and facilities and transportation. He also contributes to strategic planning for the corporation and directs the strategic planning initiatives of Business Operations. In addition, Andrews serves as the ORAU staff liaison to the Finance and Audit Committee of the ORAU Board of Directors and as treasurer of the ORAU Foundation. Prior to joining ORAU, Andrews worked at Boeing in Oak Ridge for 26 years. Most recently, he served as Boeing’s Commercial Airlines program manager/government and community relations manager where he was responsible for business development, leading commercial airplane and leading government and community relations and activities. Andrews also served as chief executive officer and plant manager of the Boeing Oak Ridge Facility on three occasions. Andrews was previously an internal auditor for the University of Tennessee, responsible for audit oversight at both the Knoxville main campus and for the University of Tennessee systems. He also served in an internal audit role for the State of Tennessee Comptroller’s Office in Nashville. Andrews serves on the Roane State Foundation Board and also serves on the Board of Collaborative Composite Solutions Corporation (CCSC) as part of the Audit and Finance Committee. Andrews received both his bachelor’s degree in accounting and his master’s degree in business administration from the University of Tennessee, Knoxville. He is a Certified Public Accountant. Vickie L. Caughron serves as ORAU chief audit officer. In this role, she manages the projects and teams of ORAU’s comprehensive audit program and serves as the principle liaison with external audits and audit agencies. She provides all levels of management with an independent appraisal of its operations to ensure ORAU follows best business practices, meets the highest level of cost accounting standards and adheres to federal regulation. Caughron has 30 years of experience in all aspects of auditing, including financial, environmental, operational, and fraudulent activity reviews. Before joining ORAU, Caughron worked two years as a senior auditor with Covenant Health and 10 years with Lockheed Martin Energy Systems. She has promoted her profession by being a member of the Association of Certified Fraud Examiners, U.S. Department of Energy Contractors Internal Audit Directors (CIAD) Steering Committee, American Management Association, Tennessee Society of Certified Public Accountants, and East Tennessee Chapter of the Institute of Internal Auditors. She is the recipient of the Institute of Internal Auditors’ Commitment to Quality Improvement Award and the Certificate of Excellence from Lockheed Martin Corporate Audit. 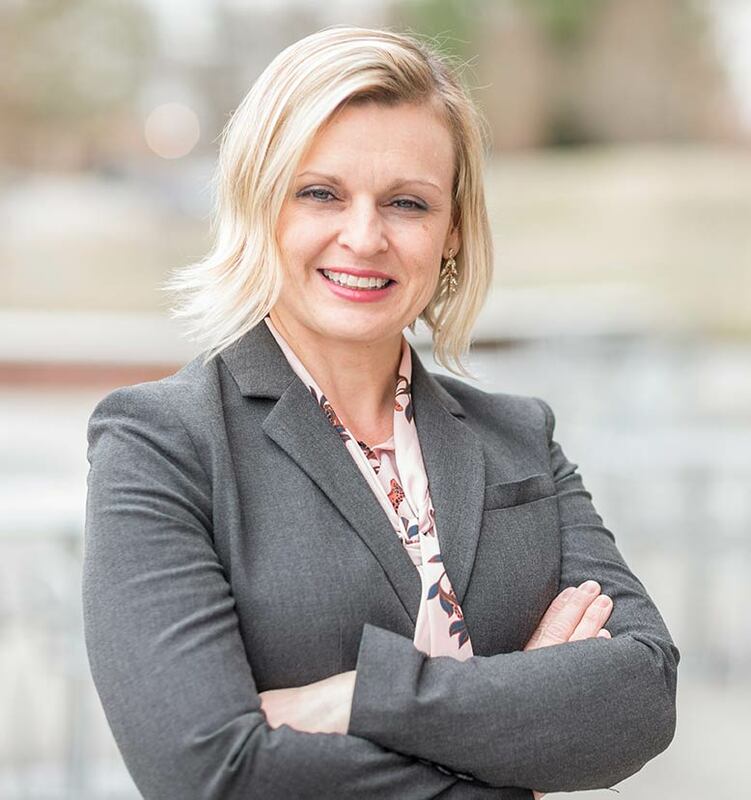 Caughron received her bachelor’s degree in business administration from the University of Tennessee and her master’s degree in management from the University of Phoenix. She is a Certified Public Accountant, Certified Fraud Examiner, Certified Internal Auditor and Certified Risk Management Assurance professional. 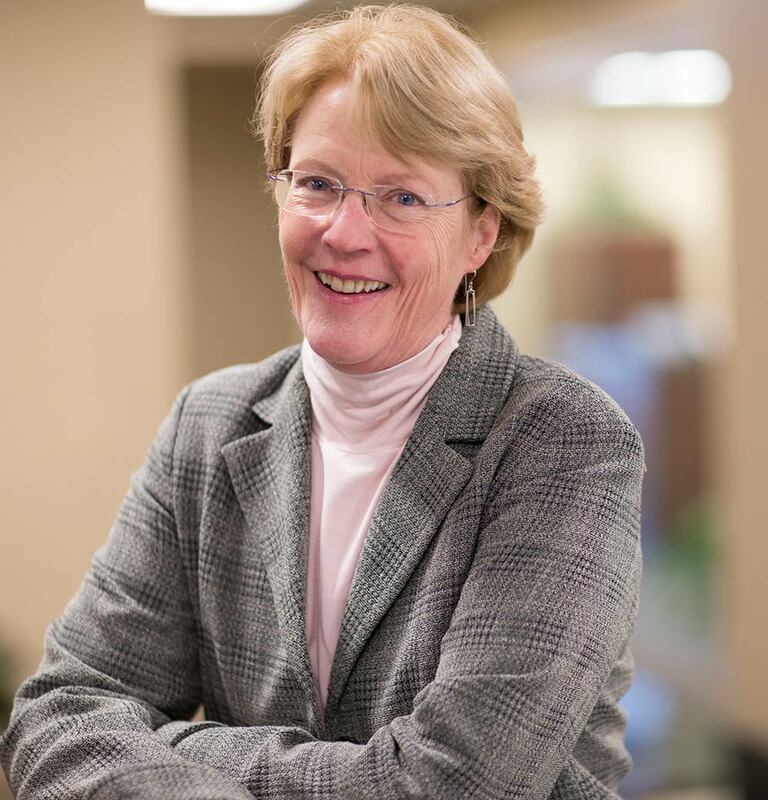 Dr. Donna Cragle serves as senior vice president and director of Health, Energy and Environment. In this role, she has overall responsibility for the research and services provided by ORAU to accurately measure and analyze occupational health issues. She directs a group of more than 200 employees, including physicians, nurses, health physicists, epidemiologists, biostatisticians, health educators, and industrial hygiene, survey and laboratory professionals. She oversees the delivery of all services related to Radiation Emergency Assistance Center/Training Site and she is director of the Oak Ridge Institute of Science and Education Beryllium Testing Laboratory. Dr. Cragle has been involved with research of occupational hazards in U.S. Department of Energy (DOE) facilities for 35 years. The primary focus of her research has been occupational epidemiology with particular interest in radiation and beryllium exposure. Dr. Cragle has also been involved in decision-making related to maintenance of the large worker databases. She has extensive experience with large-scale studies involving data from multiple worker populations. She has authored more than 35 peer-reviewed publications. She has presented Congressional testimony about mercury exposures to workers in Oak Ridge. Prior to ORAU, Cragle worked as a teaching assistant in the Department of Epidemiology at the University of North Carolina. Dr. Cragle received a doctorate in environmental epidemiology from the University of North Carolina at Chapel Hill, a master’s degree in human genetics from the Medical College of Virginia, and a bachelor’s degree in biological sciences from Indiana University. Dr. David Duncan oversees ORAU’s Scientific Assessment and Workforce Development programs. In this role, Duncan manages a wide spectrum of internship, fellowship and research experience programs to recruit and manage appointments for scientific talent to strengthen the federal science, technology, engineering and mathematics workforce. He also directs programs that, through rigorous peer review, help the U.S. government make informed funding decisions for scientific research and development investments. Prior to joining ORAU, from 1979 to 1991, Duncan held a number of technical management positions at the Oak Ridge Gaseous Diffusion Plant and then at the Oak Ridge National Laboratory. From 1991 to 2004, he co-founded and owned a company, PrSM Corporation, which provided technical consulting services to government and private industry clients. 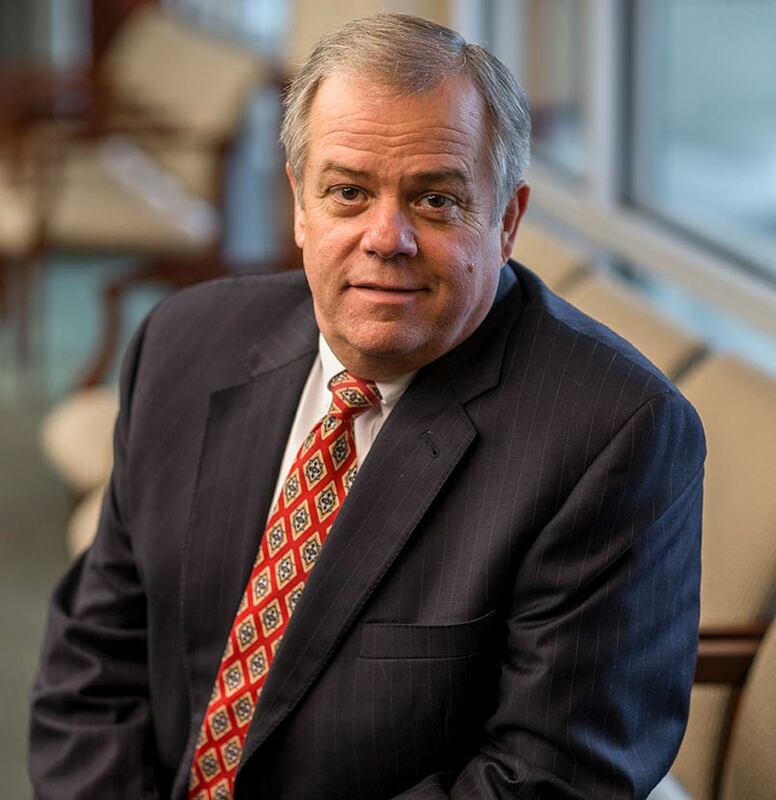 After selling PrSM Corporation in 2005 and prior to joining ORAU in 2013, Dr. Duncan performed private consulting focused on developing and implementing management processes, coaching individual managers to improve their effectiveness, and engaging employees in collaborative change. He previously served as an adjunct faculty member for the University of Tennessee environmental health graduate program and is a Fellow of the American Industrial Hygiene Association. Dr. Duncan holds a doctorate in educational psychology and research from the University of Tennessee, a master’s degree in air and industrial hygiene from the University of North Carolina at Chapel Hill and a bachelor’s degree in biology from Harding University. Wanda Gamble serves as vice president of business development. In this role, she oversees business development strategy, pricing and proposal activities and manages its support in marketing and capture planning activities. Gamble has more than 20 years of experience in planning, operations, sales, business development and customer relationship management in the science and technology industry. 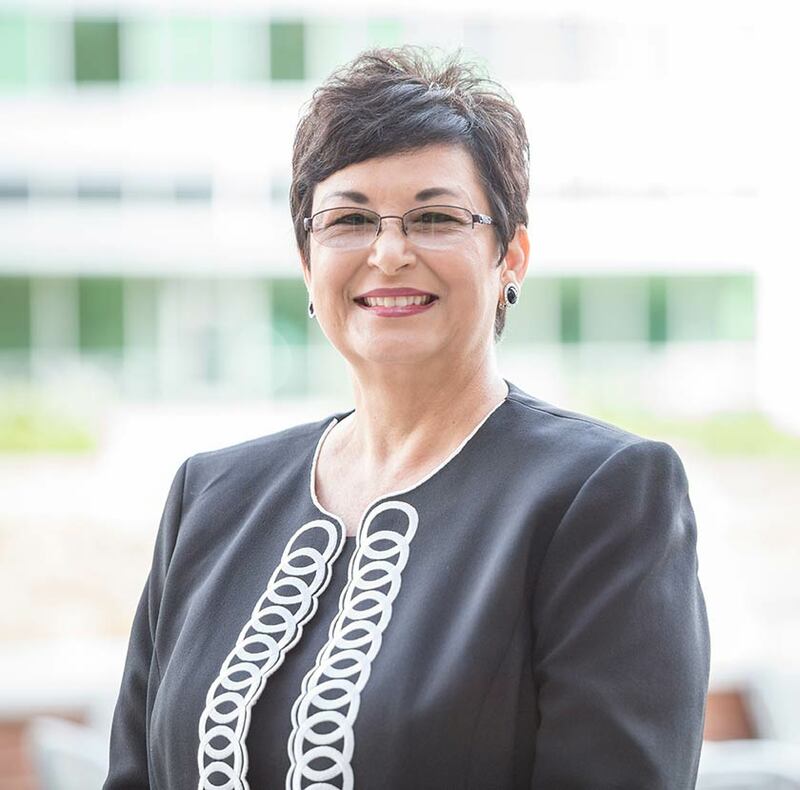 Prior to joining ORAU, Gamble was vice president for business development in the Health and Analytics Business Unit of Battelle Memorial Institute. She was recipient of the Battelle Energy and Health Global Business President’s Award in 2013. Before working at Battelle Memorial Institute, she was vice president of Federal Civil Health for Vangent, Inc., a leading provider of health care information technology and business systems to federal agencies; prior to that, she was business development director for SRA International, a leading provider of technology and strategic consulting services and solutions. 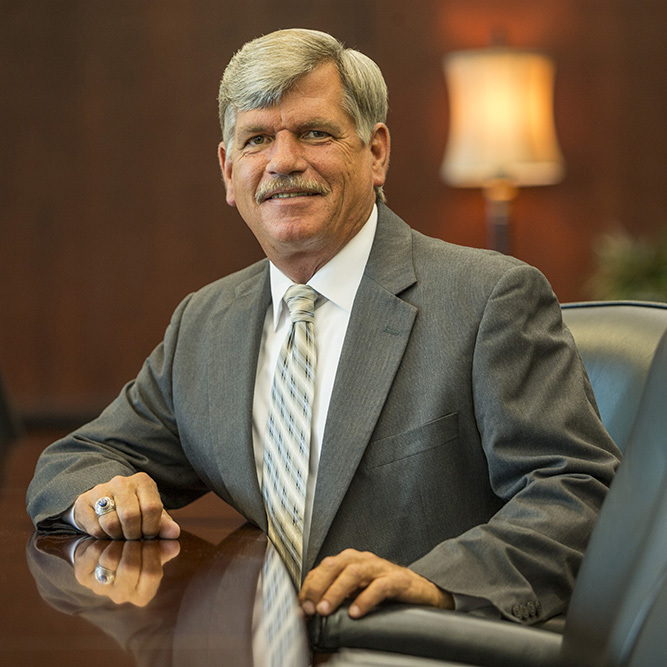 Gamble received a bachelor’s degree in government from Auburn University and a master’s degree in telecommunications and business management from Golden Gate University. She is a Health Information Management and Systems Society Fellow. HIMSS is a not-for-profit organization headquartered in Chicago, Illinois, and dedicated to better health through information and technology. Dr. Arlene A. Garrison serves as vice president of University Partnerships. In this role, she enhances ORAU’s scientific research opportunities and expands partnerships with universities, national laboratories and private industry. Under her direction, the University Partnerships office provides awards to ORAU member universities, identifies and promotes funding opportunities by facilitating inter-institutional relationships, and leverages relationships with other organizations to support increased funding for scientific research and education. Prior to joining ORAU, Dr. Garrison served as a program director for the National Science Foundation where she led programs to strengthen research and education in science and engineering across the United States. She also has held a number of senior leadership positions with the University of Tennessee. Dr. Garrison is a fellow of the American Chemical Society (ACS), an alternate councilor for the ACS East Tennessee Section, a member of the ACS Senior Chemists Committee, and chair of the ACS Business Development and Management Committee. She received her doctorate in analytical chemistry and a bachelor’s degree in electrical engineering from the University of Tennessee. Freddy Gray is director of the Health Communications and Preparedness program. In this role, he oversees ORAU teams that provide expertise in health communication, marketing, preparedness, technical training and research skills to develop solutions that inform the public and equip health professionals to respond to the most pressing public health challenges. Gray has more than 25 years of experience managing and supervising public health and healthcare system preparedness and response programs involving medical countermeasures to help mitigate the surge of patients due to a public health emergency. His prior experience includes weapons of mass destruction training and preparedness, occupational health training for the Air Force, and epidemiology projects. Gray holds a master’s degree in public health with a concentration in occupational health and industrial hygiene from the University of Tennessee. As a Master Certified Health Education Specialist, his expertise includes public health and healthcare preparedness, medical countermeasures, team dynamics, and strategic planning. Jamey Kennedy serves as strategic planning advisor to the president and CEO of ORAU, with responsibility for leading strategic planning and business culture change initiatives. She advises the president on matters related to business growth, strategy and opportunities for improvement to better position the corporation to achieve its strategic objectives. Prior to assuming this position, Kennedy was ORAU’s vice president for business development, where she led the company’s response to strategically important business opportunities, including contract negotiations and management. She has more than 35 years of experience in business development, strategic planning and technical writing. Prior to joining ORAU, Kennedy spent more than 28 years in business development and technical writing services at Science Applications International Corporation, Oak Ridge Division, where her last position was as senior vice president of business development for one of five operating units of SAIC. Throughout her career at SAIC, Kennedy oversaw efforts to acquire multiple federal procurements. 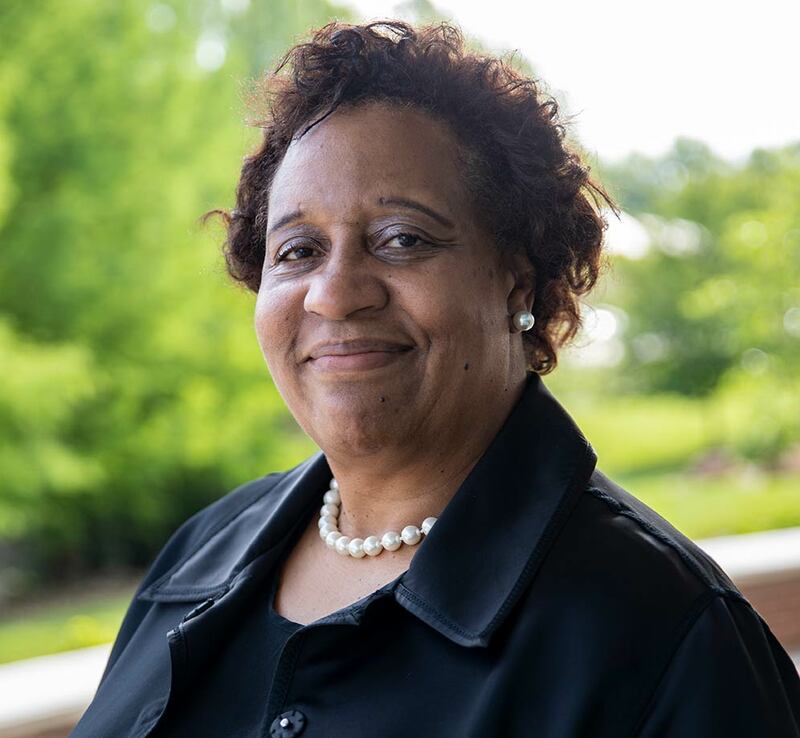 Kennedy holds a master’s degree in industrial and organizational psychology from Capella University and a bachelor’s degree in English and psychology from the University of North Carolina at Chapel Hill. Kristy A. Kistner serves as the director of the Office of Quality. In this role, she directs and coordinates the quality management system and quality assurance across ORAU, including responsibility for maintenance of ORAU’s ISO 9001:2015 registration and compliance with the U.S. Department of Energy quality assurance requirements. Previously, she served as the project manager for the Office of Quality. Other experience within ORAU includes assignments with the company’s National Security and Emergency Management program in Washington, D.C., where she worked with the U.S. Department of Energy’s Office of National Technical Nuclear Forensics to develop standard operating procedures and provided national policy support to the U.S. Department of Homeland Security. 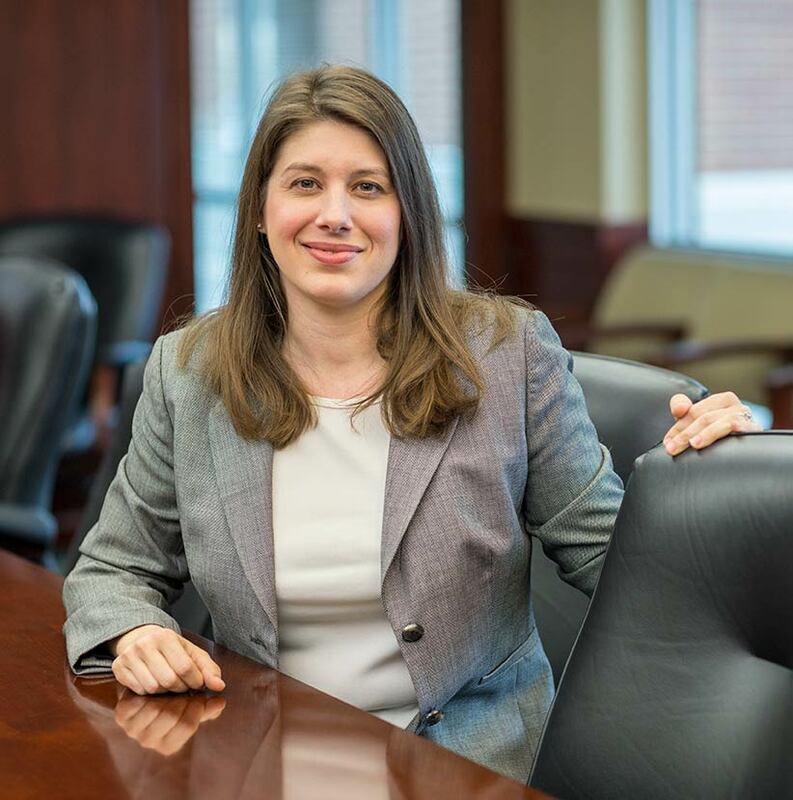 Prior to joining ORAU, Kistner served as assistant director of George Washington University’s Executive Master’s of Business Administration program and held other roles at the university associated with George Washington University’s Response to Emergencies and Disasters Institute. Kistner received a master’s degree in international affairs from George Washington University and a bachelor’s degree in business administration from Colorado State University. She is certified by the American Society for Quality as a Certified Quality Auditor and by the Project Management Institute (PMI) as a Project Management Professional. Rachel Lokitz serves as vice president and general counsel for ORAU. In this role, Lokitz provides ORAU’s programs and internal business clients with counsel concerning legal rights, contractual obligations, compliance and risk. Lokitz received a bachelor’s degree in science from Millsaps College and a Juris Doctor degree from the University of Tennessee College of Law. She received a master’s certificate in government contracting from the George Washington School of Business. Lokitz participates in a variety of professional and community activities, including serving on the board of directors for CONTACT Care Line. She is a member of the DOE Contractor Attorneys’ Association and the Tennessee Bar Association. Lokitz was named one of the Greater Knoxville Business Journal’s 2018 “40 Under 40” honorees. Chester K. Maze serves as vice president and chief information officer of ORAU. In this role, he leads the company’s technology initiatives to support corporate and programmatic mission. 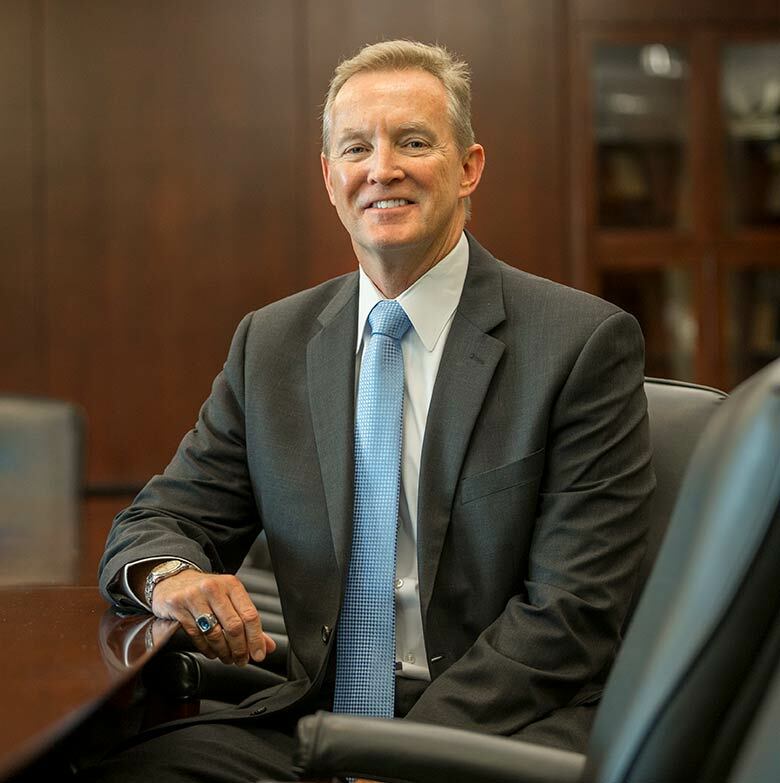 He serves as a member of the ORAU Strategic Leadership Team, assisting the president and the senior staff in meeting the strategic goals of the company. Maze also serves as the director of Information Technology Services for Oak Ridge Institute for Science and Education. In this role, he is responsible for overseeing the deployment, operations, integration and safeguarding of information technology in support of delivery of all ORISE-related services. A key focus for Maze since joining ORAU in December 2010 has been the alignment and streamlining of the company’s Information Technology department with all business units and client stakeholders to enhance ORAU’s pursuit of performance, quality and integrity. Before joining ORAU, Maze served as vice president and chief information officer within the health care industry for 16 years, including several years at Baptist Health System of East Tennessee. Maze joined ORAU from Christ Hospital in Cincinnati, Ohio, where he managed the full planning and implementation of a complete upgrade to financial and clinical systems. Maze received a master’s degree in business administration from the University of Tennessee and a bachelor’s degree in business administration and computer science from Morehead State University. Meghan F. Millwood serves as vice president of human resources. In this role, Millwood is responsible for designing, developing and implementing strategies, plans, programs, policies and procedures for ORAU in the areas of compensation, benefits, employee relations, diversity, occupational health, human resources information systems, talent management, training and development, and performance management. Millwood’s background includes more than 19 years of human resources experience with the past 15 of those at ORAU. Prior to assuming her current role in 2016, she served as director of compensation and benefits. She also previously served as operations manager, as well as other roles to include positions in talent management, employee relations and diversity. Prior to joining ORAU, Millwood worked in human resources at Polo Ralph Lauren for four years. Millwood received a master’s degree in business administration from the University of Tennessee and a bachelor’s degree in business administration from Campbell University. She has Senior Professional Human Resources certification and is a Society for Human Resources Management Senior Certified Professional. 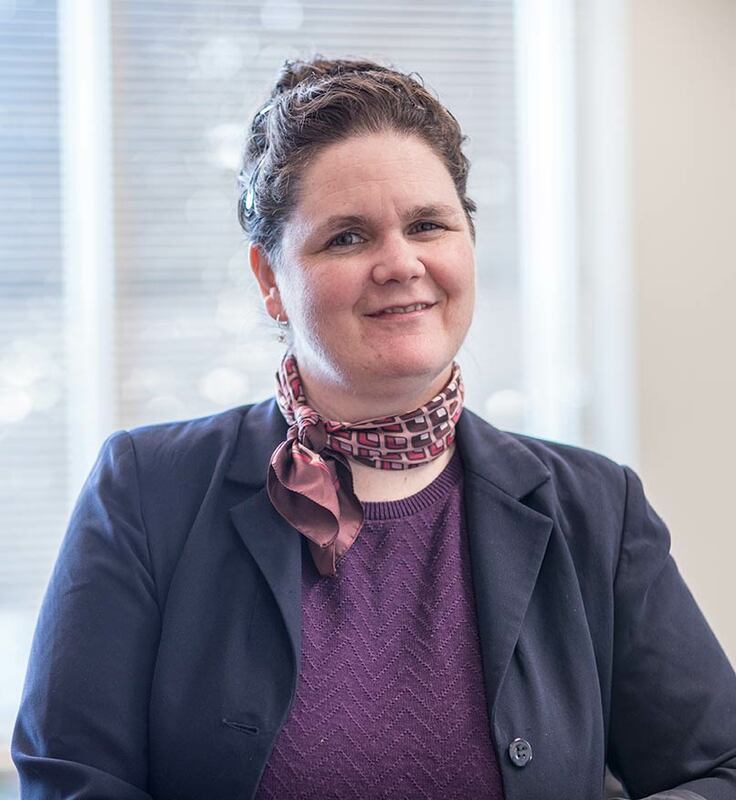 Sarah J. Roberts serves as vice president and director of ORAU’s Independent Environmental Assessment and Verification program, and she has more than 20 years of experience in nuclear decontamination and decommissioning. Previously, Roberts worked as associate director for ORAU’s Independent Environmental Assessment and Verification Program, serving as a technical expert on issues related to health physics and radiological surveys. 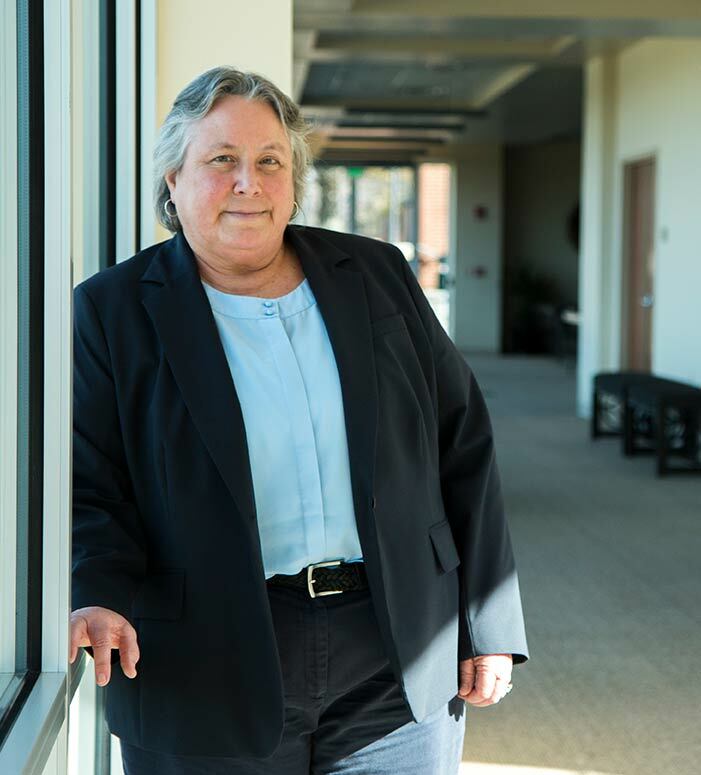 During her career at ORAU, she has held a series of advancing leadership positions managing verification projects for the Department of Energy (DOE) and Nuclear Regulatory Commission sites. Roberts has worked as a survey projects manager, leading health physicists in performing independent verification survey activities and as a health physics project leader. Before coming to work with ORAU, Roberts served as a radiological safety consultant for Navarro Research and Engineering, Inc., providing technical expertise in the areas of radiological engineering and health physics for DOE’s Rocky Flats Project Office. She has also served as a radiological safety manager, radiological engineer, health physicist and in other radiology and health physics related roles at various institutions across the country. Roberts received a master’s degree in health physics from Colorado State University and a bachelor’s degree in biology and medical technology from Ohio University. She is certified by the American Board of Health Physics and is a member of the local and national chapters of the Health Physics Society, where she served on both the Board of Directors and as the president of the Decommissioning Section. In 2011, she was named the Elda Anderson Award winner to recognize a young health physicist for significant professional contributions. Mae D. Mosley has been with ORAU since June 2013 and currently serves as director of Human Resources. In this role, she manages talent management services, talent development and performance, and employee relations and diversity. She is an executive advisor on critical matters relating to human resources, diversity, employee relations and compliance. She protects the interest of the company and employees by ensuring that fair and equitable resolution of employee concerns are addressed in accordance with policy, legal and regulatory requirements. 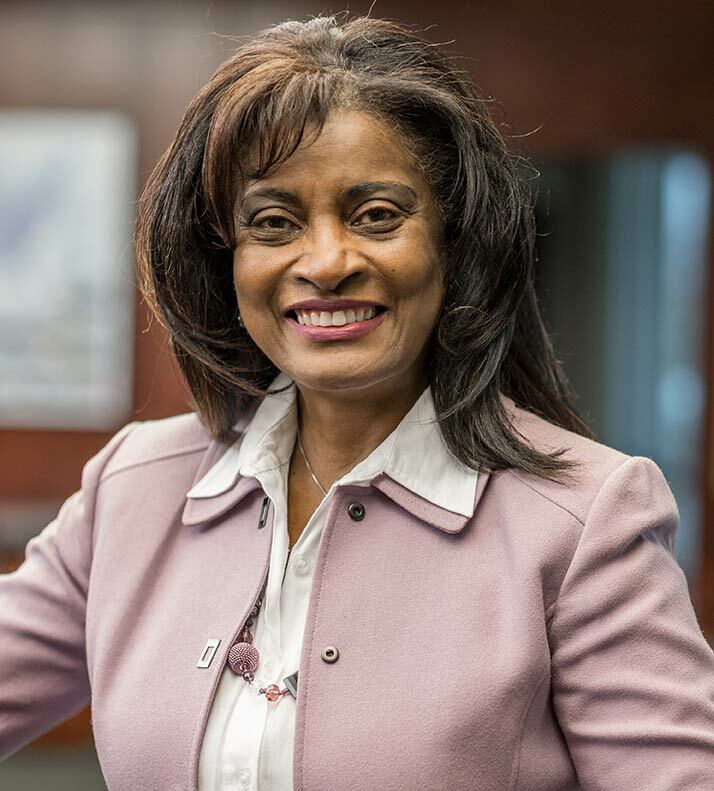 Before joining ORAU, Mosley was chief diversity and compliance officer and assistant vice president of human resources at Briggs & Stratton Corporation in Wisconsin. An entrepreneur, Mosley owns MDM HR Consulting, a human resources consulting and training firm. Mosley received her bachelor’s degree in business and management communication and her master’s degree in business and human resources management from Concordia University Wisconsin. She is a graduate of executive leadership from Thunderbird University-France and is scheduled to complete her doctorate in business administration at Lincoln Memorial University in 2018. She holds multiple certifications, including Diversity Training Facilitation and Content Developer, Professional Career Coach and Business Strategy Planning. Mosley has achieved many accomplishments in her career. Most recently, she was a graduate of the 2015 class of Leadership Oak Ridge. Board memberships include Knoxville Chamber of Commerce Board, Chair for the Knox County Ethics Board, YWCA Knoxville Board, National Coalition of 100 Black Women-Knoxville and Knoxville Diversity Champions. In recognition of her volunteer spirit, Mosley was recognized with the 2015 Humanitarian Award by the City of Knoxville Central City Youth Sports. 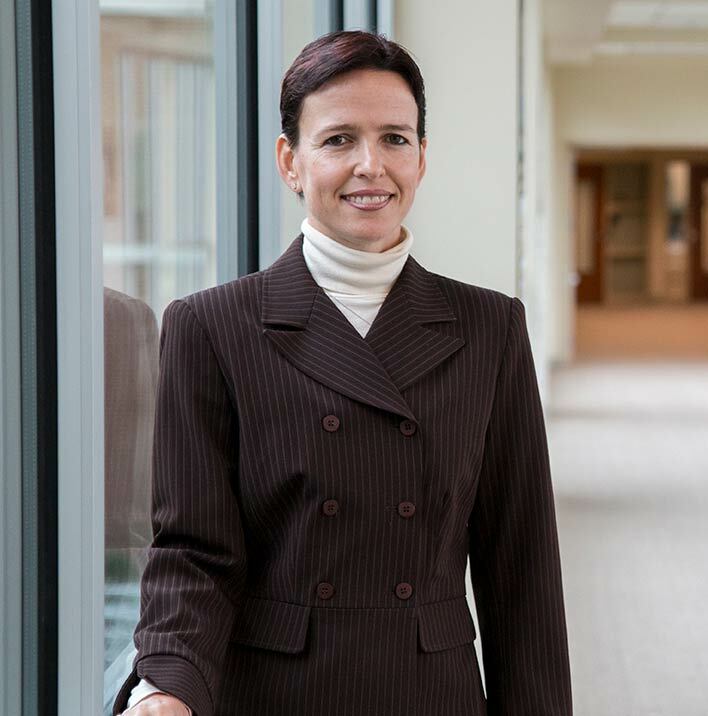 Monika Schiller serves as a senior advisor to the president and CEO of ORAU. She advises the president on matters that affect the overall performance, quality and integrity of the President’s Office. 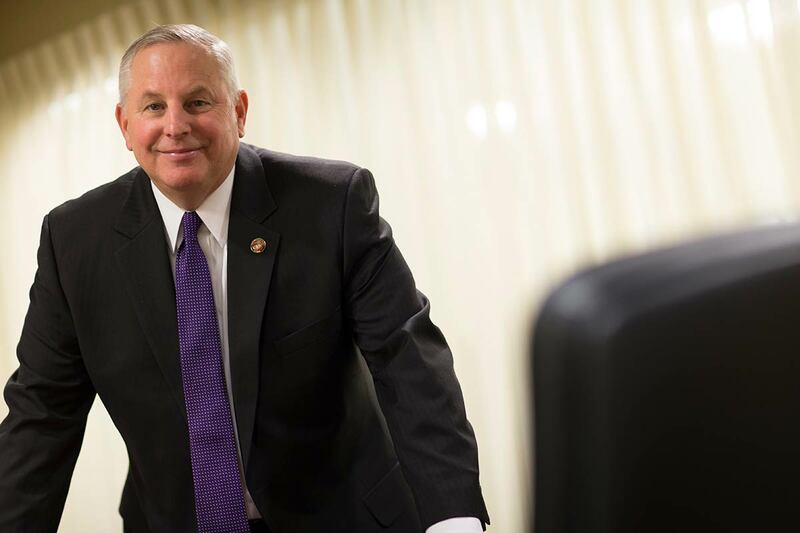 Schiller serves as a member of the ORAU Strategic Leadership Team, assisting the president and the senior staff in meeting the strategic goals of the company. This position allows her to provide relevant analysis, research and quality assurance support to a broad range of strategic initiatives designed to increase overall productivity and performance within ORAU. Prior to her appointment to the present position in 2010, Schiller served as the business operations and quality assurance group manager of ORAU’s National Security and Emergency Management Program. From 2004 to 2007, Schiller served as an operations planner in this same program. Prior to joining ORAU, Schiller was director of operations for Arianspace Inc.
Schiller holds a master’s degree in international relations from Boston University, a master’s degree in business administration from Colorado State University, and a bachelor’s degree in Spanish from Boston College. She is a certified Project Management Professional. Dr. William J. (Jim) Vosburg serves as a senior vice president of ORAU and director of the Oak Ridge Institute for Science and Education (ORISE). He leads a $310 million program implementing all elements of the ORISE performance areas, including workforce development, scientific and technical resource integration, human subject health and protection surveillance, independent environmental assessment and verification, and operations of the Radiation Emergency Assistance Center/Training Site (REAC/TS). Prior to leading ORISE, Vosburg served as a senior program manager for the U.S. Department of Energy National Nuclear Security Administration’s Office of Secure Transportation, where he was responsible for corporate workforce development and education for operational sites nationwide. Vosburg received a bachelor’s degree in workforce education and development from Southern Illinois University and a doctorate of education in human resource development from Vanderbilt University. He serves as an adjunct assistant professor at Vanderbilt University’s Owen Graduate School of Management, the University of Tennessee’s College of Business, and the University of New Mexico’s College of Education. Vosburg is a veteran of the U.S. Air Force, having served within the Pacific Air Forces Command and the Air Force Materiel Command. Tom D. Wantland serves as the director of ORAU’s Environment, Safety and Health program and also serves as the company’s safety director. He is responsible for developing, managing and coordinating ORAU’s safety, environmental protection, radiological protection and industrial hygiene programs to assure safe and healthful work practices, facilities and work environments for employees and the public in accordance with laws, regulations and sound safety and environmental practices. Wantland has been an employee of ORAU for 28 years and has 38 years of experience in the field of professional safety management. Prior to joining ORAU, he was a safety and health professional at the University of Tennessee, Knoxville. Wantland has led activities for the registration and certification of ORAU and the Oak Ridge Institute for Science and Education for the Department of Energy’s Voluntary Protection Program as a Star Site, and he was instrumental in the registration of ORAU for International Organization for Standardization (ISO) 14001:2015, Environmental Management Systems. Wantland received a bachelor’s degree in business administration and a master’s degree in occupational health and safety from the University of Tennessee. In 2011, he received a certificate in the Executive Program in Safety Management from the American Society of Safety Engineers. Additionally, Wantland is a Certified Hazardous Materials Technician, a Certified Industrial Fire Service Instructor and a Certified Hazardous Materials Manager. Also, Wantland serves on the Executive Committee of Safety Fest TN, an annual event that provides free safety training to the public. John D. Boice, Jr., Sc.D.